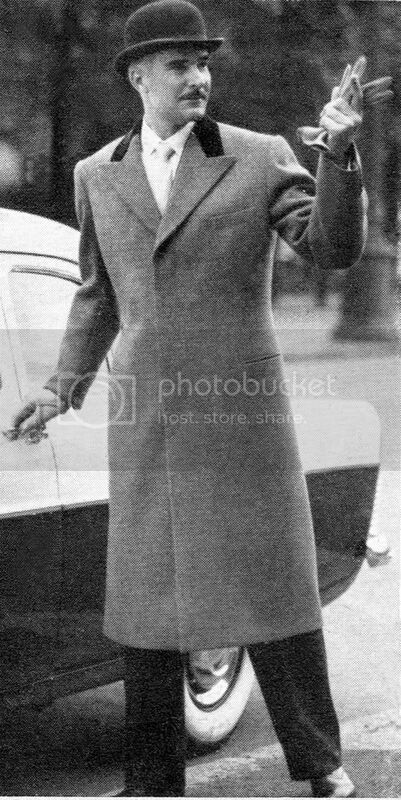 The captions says that this is for business and that the coat is dark BROWN! 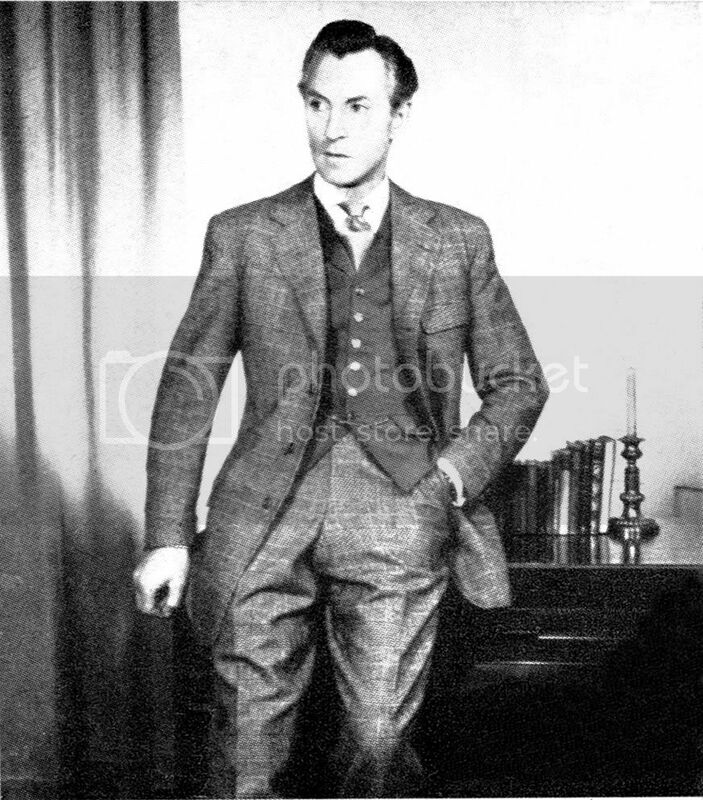 The trousers and waistcoat are of shepherd's check. 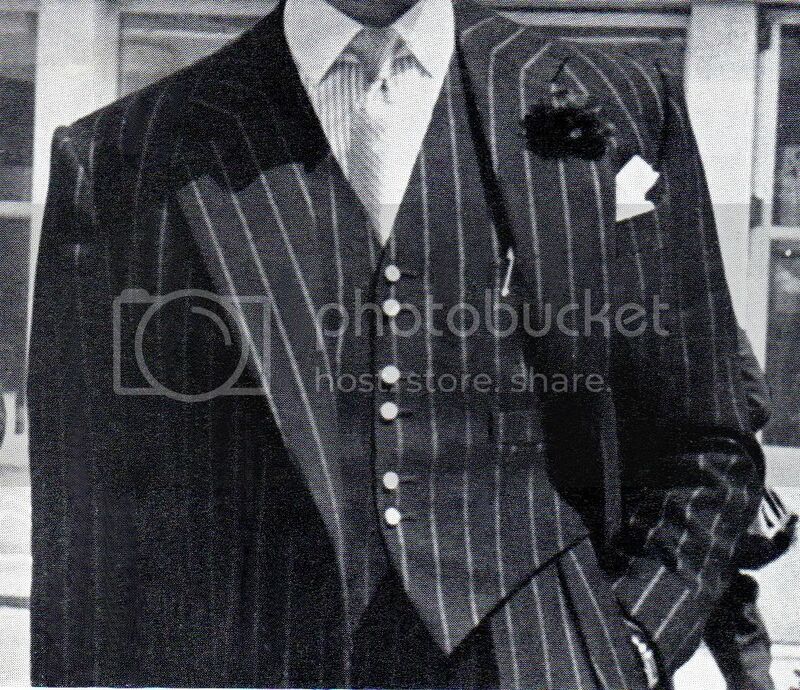 The tailor was Hawes and Curtis of Dover Street. 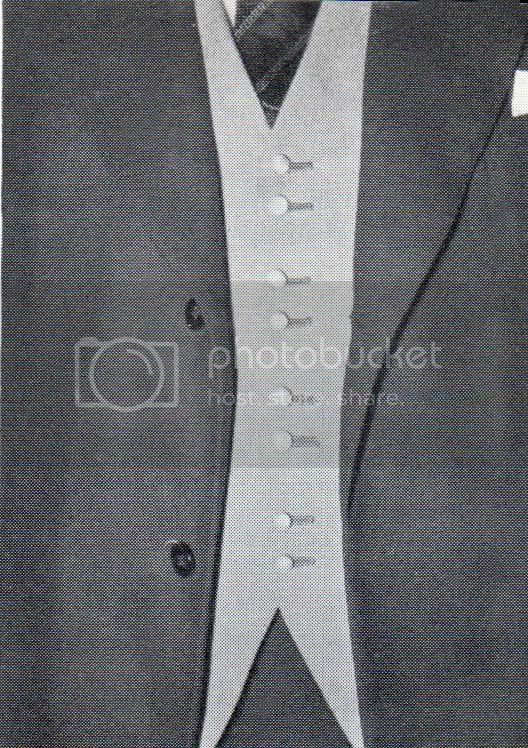 Note the cloth covered buttons. 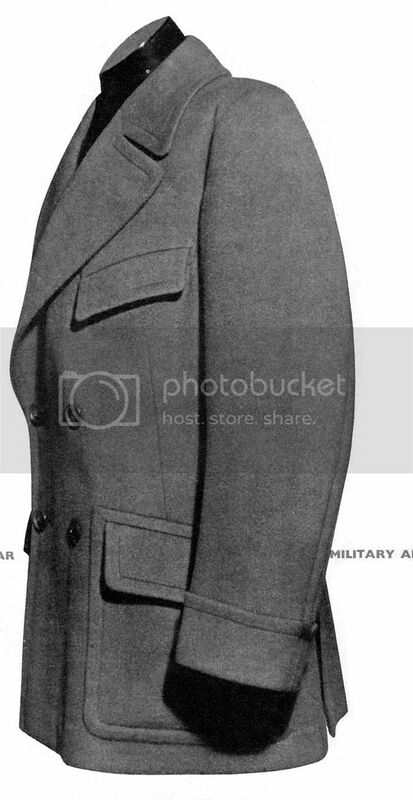 I guess the Military Airs style to which they allude is related to the fact that military patrol jackets often have these curved panel seams at the back. 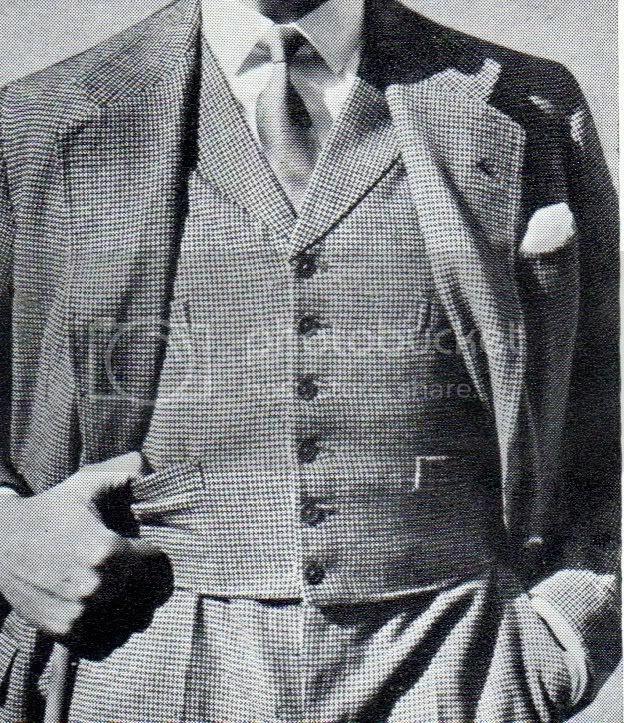 Note the double-breasted lapels, fly front, velvet collar and jetted side pockets. 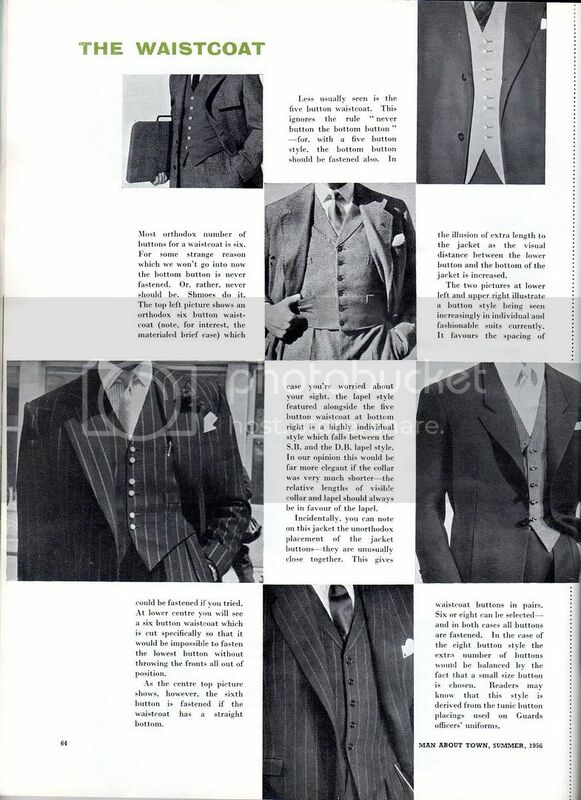 All come from the same issue of Man About Town. Fly front and jets only no flaps. I find the combination of fly front and jets add to the seemless silhouette that's being attempted. Uncluttered almost aerodynamic. 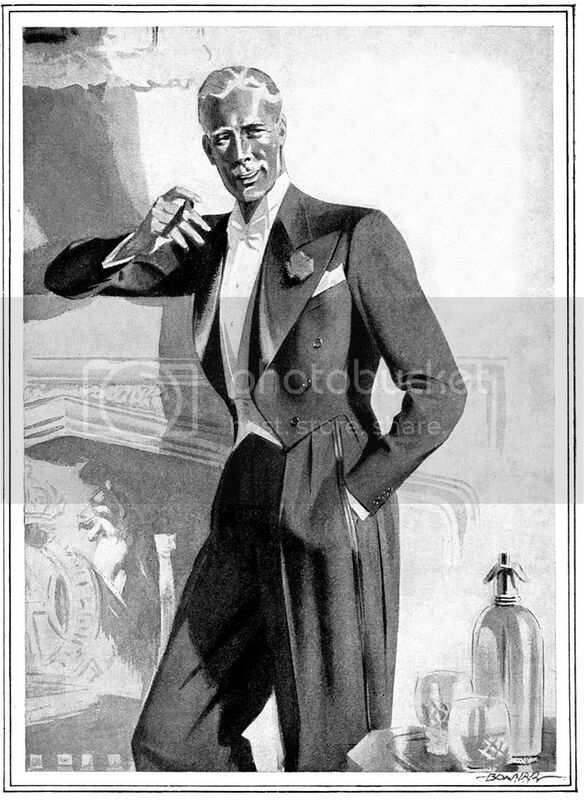 Lovely images. 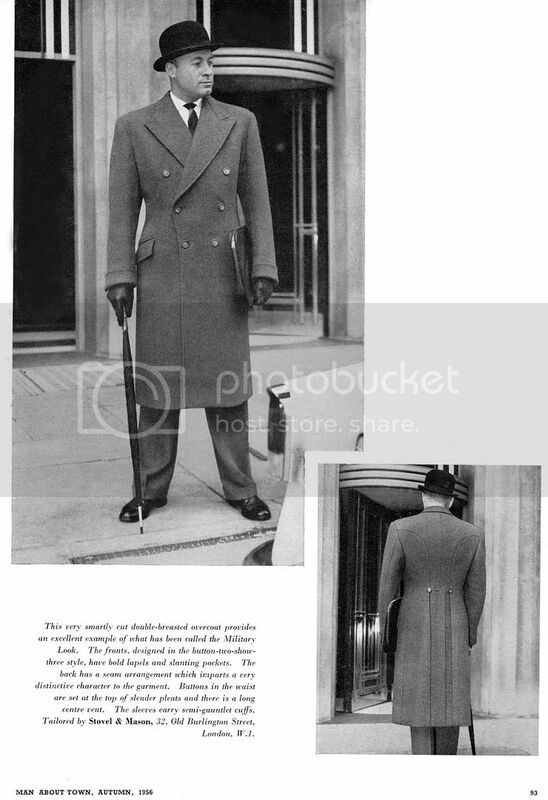 To better appreciate the silhouette, it might help to have a slightly exaggerated version of the 1950s silhouette side by side with a slightly exaggerated version of the 1960s silhouette. 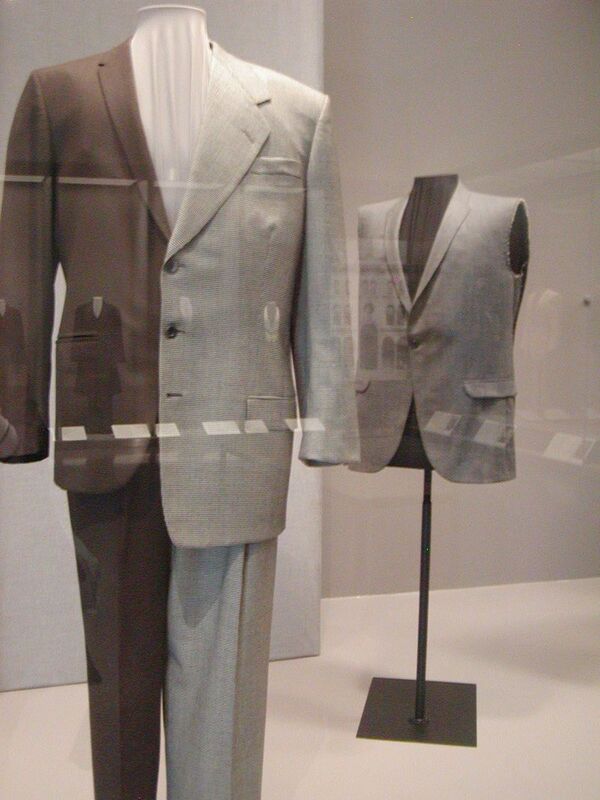 Style Forum member Parker discovered the stroke of genius below on a thoughtful blog called Thread for Thought. 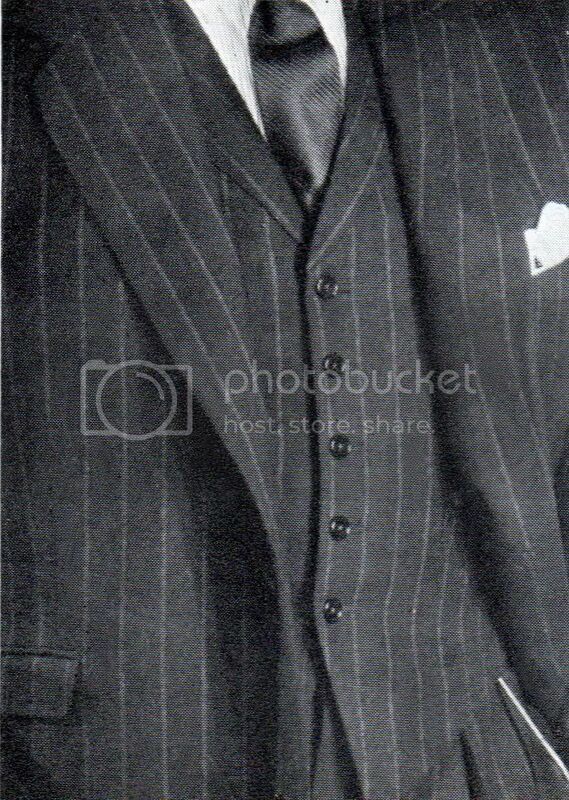 According to that blog post, the suit below is by Francis Toscani (1915-1973), an innovative tailor who made up some deep thoughts. 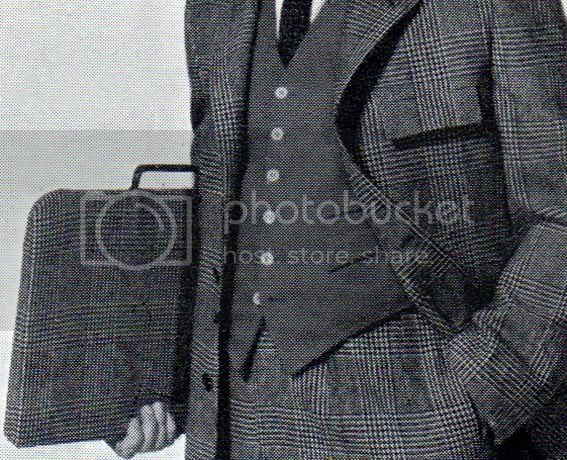 Note that the 1950s half appears to be a glen check, and the 1960s half a solid, so Toscani even managed to convey the 1960s' enthusiasm for smooth solid fabrics. Edited by Testudo_Aubreii, 31 March 2012 - 11:52 AM.